Thank you everyone for your comments re my upcoming ride to Adelaide. 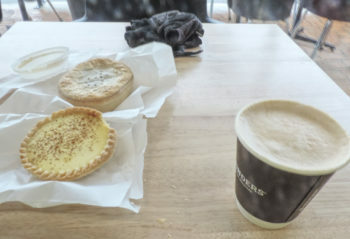 The day for Coffeeneuring dawned very windy, stormy and without power due to electrical cells in the storms. Only a short ride then. But where? 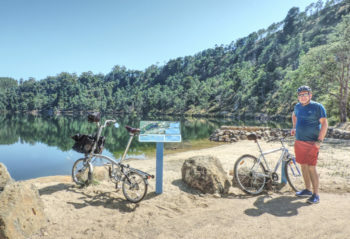 Ah, there’s a new Bakehouse in Perth and a new bit of track at the end of the the Breadalbane to Perth shared track to try, so starting at Devon … Continue reading "Tasmanian Coffeeneuring #4. 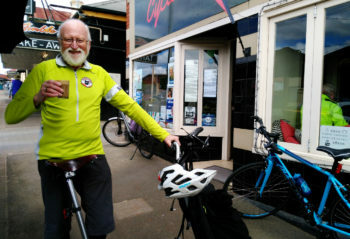 The Country Bakehouse, Perth"
Friday the 12th October – Starting the Coffeeneuring season. We have just begun a 2 month caravan trip on mainland Australia. 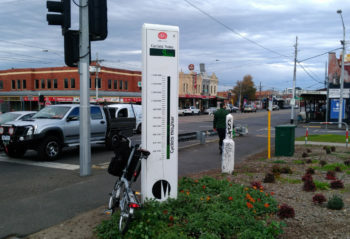 The first stop was Melbourne and the main tasks there were to get a mountain drive fitted to the Brompton (didn’t trust Tasmanian dealer mechanics) and to ride the Capital City Trail to get some ks in. Back in the day in Tasmania there was a passenger rail service. In 1978 the last trip of the Tasman Limited took place and I believe this is the train that would have stopped at the Perth Railway Station. This 1970’s style concrete road bridge is not as romantic as “Ferry Cross The Mersey” by Gerry and the Pacemakers but it got me from West to East Devonport. While crossing I didn’t sing “Ferry C T Mersey” much to everyone’s relief. Devonport is big on petroleum and bunker fuel imports. It smells very rich. 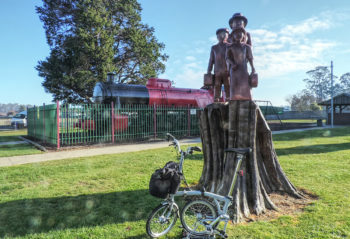 … Continue reading "Brompton on a “Bridge cross the Mersey”, Tasmania"